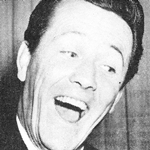 Bobby Limb (pictured), compere of the variety show Sound Of Music, was awarded the Gold Logie for Most Popular Personality on Australian TV at the 6th annual TV Week Logie Awards in 1964. The awards were held on the cruise ship Marconi Liber, docked in Sydney, but did not receive TV coverage. 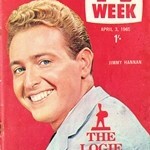 Even TV Week‘s own coverage of the Logies presentation was modest, with only a couple of black-and-white pages devoted to reporting the winners in the following week’s edition — with the traditional Gold Logie front cover being bumped in favour of The Beatles! And unlike previous years there were no international stars invited to appear at the presentation. Limb’s Gold Logie win came despite Sound Of Music, which launched in mid-1963, receiving a lukewarm response from critics — and even a modest review from Limb himself at the time of its debut: “This series may never reach the dizzy heights, but it will never hit the bottom. How successful it will be remains to be seen, of course…” As it turned out, Sound Of Music continued through to the early 1970s. The Logie for Best National Variety Show was won by The Delo And Daly Show, produced at HSV7, Melbourne — and Bandstand (produced at TCN9 Sydney) won a special Logie for Outstanding Production. 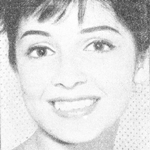 One of Bandstand‘s standout performers, Robyn Alvarez (pictured) won the Logie for Best Female Singer. Bill Newman, from Sound Of Music, won Best Male Singer. Musician Rob EG (later known as Robie Porter), who scored big hits during 1963 with Si Senor, Jezebel and 55 Days At Peking, received a special Logie as Outstanding Recording Star. Adelaide channel NWS9 won a special Logie for Children’s Entertainment for its production of the pantomime Aladdin. The special production featured local personalities Roger Cardwell, Lionel Williams and Glenys O’Brien (later Glenys Sigley) and was commended by Logies judges for its high production values and special effects. The National Television Network’s (now the Nine Network) comprehensive coverage of the 1963 Federal Election won the Logie for Outstanding News Coverage. The three-way link-up between Sydney, Melbourne and Canberra, made possible via the coaxial cable, gave viewers the most up-to-date election coverage in a telecast that was billed as the most expensive news broadcast mounted in Australia. Bob Raymond, the producer of the election coverage and former producer of ABC‘s Four Corners, received a Logie for Outstanding Documentary Production in recognition of his work with Four Corners. The television commercial for Coca-Cola featuring a giant bouncing ball won the Logie award for Best Commercial. The commercial, from Sydney agency Hansen Rubensohn-McCann Erickson, used a 6 foot high plastic ball especially made for the production. 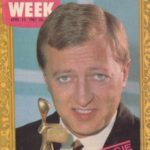 Bert Newton is a name that has been synonymous with the Logies — but it wasn’t until 1964 that he won his first Logie, for Most Popular Male Personality in Victoria — an award that was shared with his In Melbourne Tonight colleague Graham Kennedy. 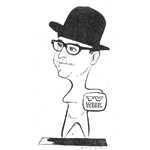 And In Melbourne Tonight again won Most Popular Program in Victoria, but the Logie was specifically for the Friday night edition of the program, hosted by Noel Ferrier. For The Delo And Daly Show winning the Logie for Best National Variety Show was enough to give the show a reprieve from the axe. The network was poised to drop the show following poor ratings in Sydney, but news of the Logie win prompted some last minute negotiations. Not only did the variety show win an extension but the pair also scored a new daytime show as well. 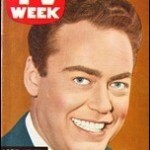 I wonder if the 1964 TV Week Logie Awards were held around the same time The Beatles came to Australia? That may explain the rather low key coverage of the Logies that year, even by TV Week! I would need to google but I think The Beatles came to Australia later in the year, sometime around June.